If last night was presented in a script, I would have thrown it back at the writers as being too contrived and corny for words. Just minutes before the BBC broadcast “Rangers- The Men Who Sold The Jerseys” the @rangerstaxcase twitter feed exploded with activity: this blog had won the 2012 Orwell Blog Prize. 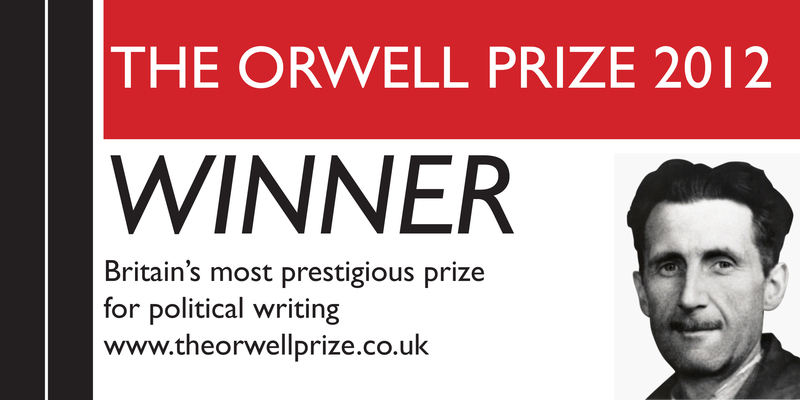 Winning the Orwell Blog Prize is both a tremendous surprise and a great honour. The quality of writing from the other short-listed candidates was just so high that I did not really think that my blog stood much of a chance.That rangerstaxcase would win a prize named for George Orwell is particularly apt. Orwell created the lexicon for fighting back against the interests of powerful individuals and a co-opted media. Over the last decade, prominence and wealth were able to silence the story of what was really happening within Rangers FC. The story of how a single businessman could bend the banking, football, and newspaper businesses in a small country to his will is a microcosm of the dangers lurking within all free societies. The blog answered a need for the facts when it was obvious that the Scottish media had no interest in taking on the vested interests who wanted this story kept under wraps. I would like to thank all of those people who have contributed to the debates on the blog and I am especially grateful to those brave individuals who have made it possible for me to tell the truth about this story. Tonight is important for the Rangers tax case in two major respects. In addition to the Orwell Blog Prize, BBC Scotland will broadcast a documentary tonight entitled: “Rangers- The Men Who Sold The Jerseys”. A project that was born out of frustration at the Scottish media’s refusal to investigate this story comes to an end with the finest investigative journalist in the country, Mark Daly, laying out the facts on television for the whole country to see. To watch this project achieve its primary goal and to receive this award on the same night is truly something special. Thank you to the judges, to the other entrants and shortlisters, to Alex Thompson at Channel 4 News, and to my long-suffering family who have provided tremendous support while working on this project. Speak up: individuals can make a difference. I want to start naming names and thanking the best contributors to this site. However, there are just too many of you and I dread the idea that I would leave someone out. As most of you write on here under pseudonyms anyway, it is best to avoid a long Oscar-style list of names. You all know who you are. This blog would not have had any impact without the debates and discussion that you all contributed so much towards. Thank you.